iPad Art Room » Let’s Create using virtual pottery! 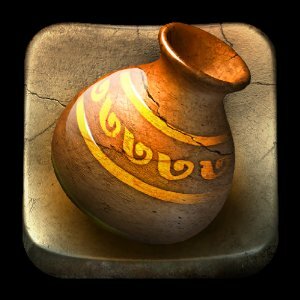 Let’s Create using virtual pottery! There are two versions of Let’s Create Pottery avaliable – this link is for the full app. And this is the free app, which is a great place to start. If you just want to explore the concept of a throwing a pot on a wheel or turn some simple pots, photographing them as a screenshot to use as prototypes, this version has all you’ll need. Making digital vessels on your iPad? Yes, you can create clay vases on a wheel using your iPad…and it is great! 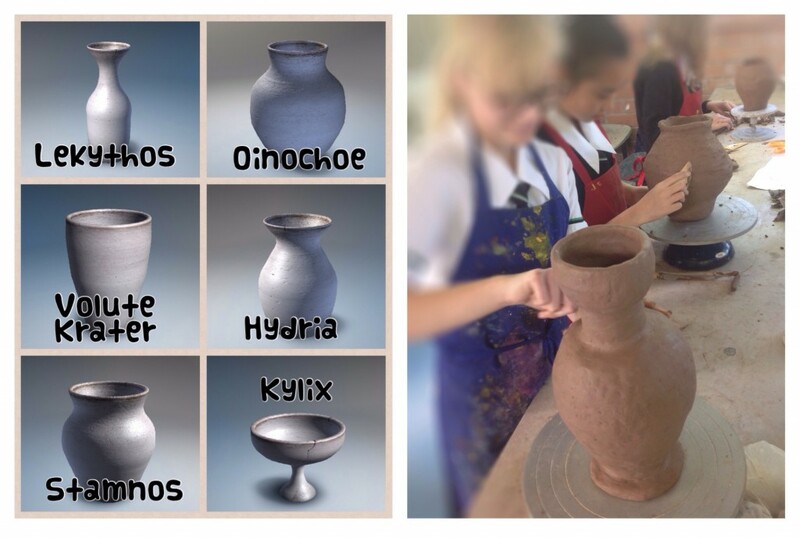 ‘Let’s Create Pottery HD’ is a wonderful tool to support teaching and learning in your classroom. Firstly, let me assure you that using the iPad in a creative workflow in my classroom is not about ‘getting rid of clay’. Art teachers know how valuable those ‘hands-on making’ experiences can be for our students as they grapple with this challenging medium and the multi-step process of building a large-scale object from the ground up. 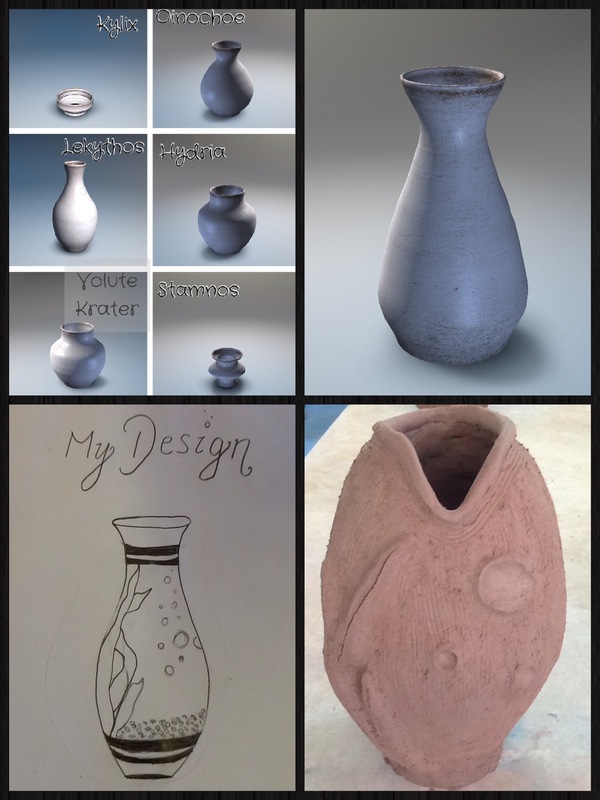 The Pottery app has immense value in the classroom for other reasons. Although the process is ‘virtual’, and the tactile quality of the wet clay is missing, for many students this is as close as they will get to throwing a pot on a wheel. The app provides an entry point to explore a technique many art classrooms simply cannot provide. If students use the app in conjunction with slab or coil construction techniques, they can compare and contrast building methods, moving seamlessly between activities that incorporate historical perspectives and diverse art-making practices. Using the Pottery HD to work through the initial design process can be an alternative to sketching during the design process. Teachers can give feedback on ideas and students can easily make adjustments to their design before creation. Often students are more receptive to critique using this kind of digital medium, as alterations are easily made. For example, bases can be widened after discussions about support and structure. Students can manipulate the form and explore the possibilities with enough realism to explore balance, proportion, etc on their iPads, rather than a drawing. 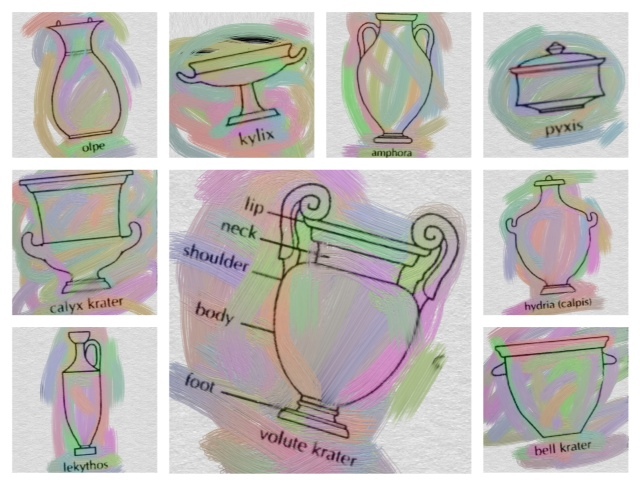 By taking a screen shot of the undecorated vase shapes they can go further. The images can be printed out and the decorative elements added by drawing over the top. Alternatively, stay digital and use drawing apps on the iPad to sketch. Collage apps can be used to compile multiple images, for example a class set of investigations, a student folio of potential designs for a three-dimensional work, or a ‘design, progress and finished vase’ set as a record of learning. Developing knowledge of vessel shapes (eg: kylix, amphora) can be undertaken in a hands-on and engaging way. As students use their hands to create vases, a level of understanding that only comes with deeply engaging with the form is evident. In most classrooms it just isn’t practical to create a variety of vessel shapes, but digitally a range of investigations can provide students with a collection of works for analysis. Drop the collections of images into a collage app and/or label them for a record of learning and a resources that can be used in further activities. Explore other ways to use collage apps in this post. Love the colour effects app idea – over any photo of a sculpture this would be great during g designing because you can still see the work underneath. Great idea.